Have you heard the Hindi proverb, aam ke aam, guthliyon ke dam, which metaphorically means double benefits? Well, it looks like fruit seeds are actually almost equally healthy and beneficial as the fruits. Contrary to popular belief that the seeds might germinate into a new plant in your stomach, you'll be surprised to know that by ditching the fruit seeds you are also actually also getting rid of essential amino acids, vitamins and minerals. Some of the seeds of the fruit have been used to make traditional herbal medicine as well. Seeds of fruits like mango, Jamun, jackfruit, guava, apple, papaya, etc. have immense health benefits that may surprise you. Best Fruits for Diabetics: From Apples to Plums, 5 Low Glycemic Index Fruits for Diabetes. While many people don't like to eat the difficult to chew guava seeds, they are actually rich in potassium almost60 percent more than bananas. Guava aka amrood in Hindi are great for your skin, body and hair. Rich in unsaturated fatty acids, bioactive, phenolic, and antioxidant compounds mango seeds are highly beneficial in terms of hair care, skin care and overall health. It is also known to help keep blood sugar in control. Moreover, it is known to Improves cardiovascular health and keep your weight in check. Jamun seeds work miraculously on people with diabetes. Many people consume Jamun seeds powder to help control the release of sugar into the blood and increase insulin levels as well. Rich in dietary fibre, healthy fats, proteins, vitamins and minerals, the substances called jamboline and jambosine is responsible for controlling blood sugar in the body. Rich in antimicrobial compounds that have an antimicrobial Jackfruit seeds can help foodborne illnesses. Moreover, they have been used in traditional medicine for a very long time. 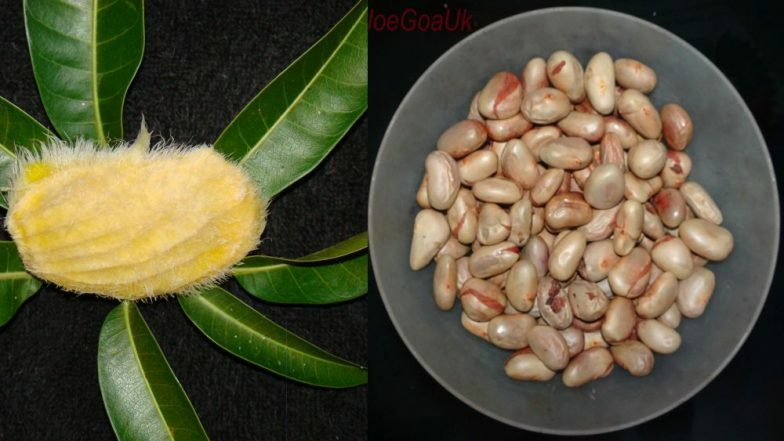 Jackfruit seeds are also known to have anti-ageing benefits, helps prevent anaemia and help you have healthy hair. Watermelon seeds are low in calorie and are rich in magnesium, iron and folate. Usually eaten toasted they also taste good. However, you must remember that certain fruit seeds like apple, apricot, plums, peaches contain limited amounts of poisonous substances like cyanide but that is only if they are taken in more substantial quantities and consistently.